The clients for this project had just found out they were expecting a fourth child as well as their first girl! 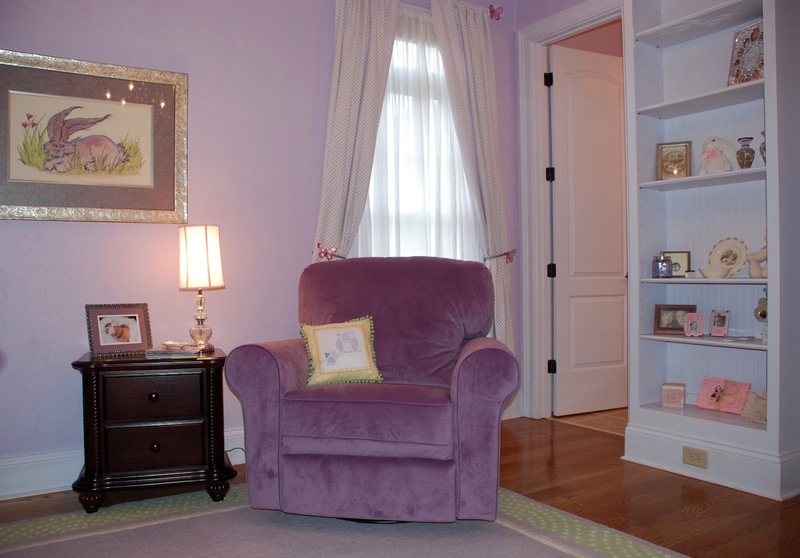 While their home was plenty big enough for another little one, they decided they wanted the baby to be on the first floor near the master bedroom. 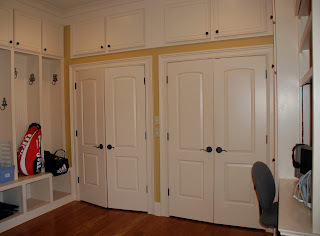 In order to accommodate this need, we decided to turn their mud-room into a nursery. We had to hire a carpenter to remove the closets and cabinets in order to provide enough room for baby's furniture, but the result was well worth the effort. The mud-room was now a dream room in Lavender! 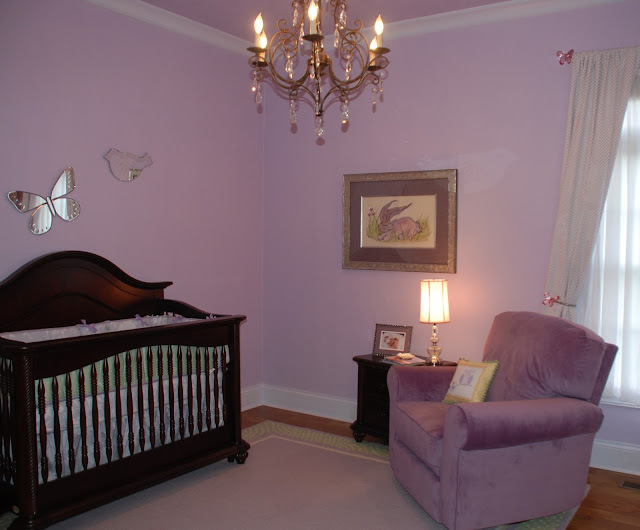 Lavender paint, a romantic chandelier and mirrored animal decals transformed the once masculine mud-room into a sweet retreat for baby and mom. While most of the cabinets were removed, we left one set of shelves so that we could display baby's keepsakes.